Last Friday, Genting ended +26sen to RM11.00 as volume jumped nearly 5 folds to 12.4m shares. The surge was driven by positive expectation of improving Genting Singapore results with the help of the recently-approved junket licenses as it will bring in more customers into the casino, especially from the VIP segment. In the wake of improving technical readings. 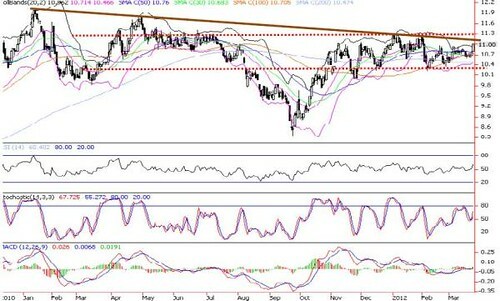 Genting is likely to stage a breakout at the downtrend line from the 52-wk high of RM11.78 (29 Apr 11). A strong DTL breakout will spur Genting prices higher from the rectangle consolidation to retest higher resistance near weekly upper channel at RM11.60. 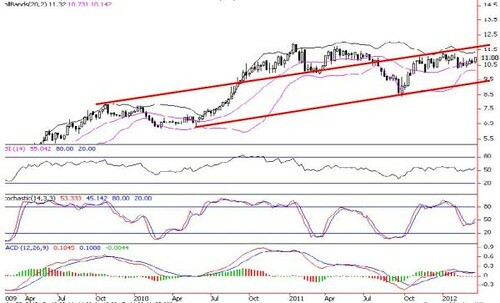 Immediate supports are RM10.76 (50-d SMA), RM10.60 (Mar’s low) and Rm10.47 (200-d SMA). Cut loss below RM10.47.